It’s inevitable….the more time we spend on the coast of Lake Michigan, the more blessed we feel to live and work in such an outstanding area. From the beautiful freshwater beaches, to the fresh food and produce, and the incredible communities, we completely understand why our clients have chosen this spot to live and vacation. The West Michigan shoreline area has gained national recognition for not only vacationing, but also a near-ideal area for a second home or even retirement. Take Saugatuck and Douglas, for instance. The art scene here is second to none, the food is amazing, and the architectural traditions and history of the area is fascinating. Thanks to some friends from the Saugatuck-Douglas History Center and some serious reading Brian has been undertaking, we have learned much recently about their incredibly rich history. Then, there’s South Haven. Great beaches, fun festivals and maritime traditions here abound. In Holland, you have all this and a vibrant downtown, with a bustling Farmer’s Market. Glenn and Fennville offer more quaint visits, to orchards, wineries and a chance to get away from it all. And we’re not the only ones who feel this way. In 2015, USA Today selected Saugatuck, “The Art Coast of Michigan”, as the “The Best Coastal Small Town in America.” It was the second time that Saugatuck has won national recognition from this major publication. In 2014 the community was voted the “Best Weekend Getaway in the USA”. 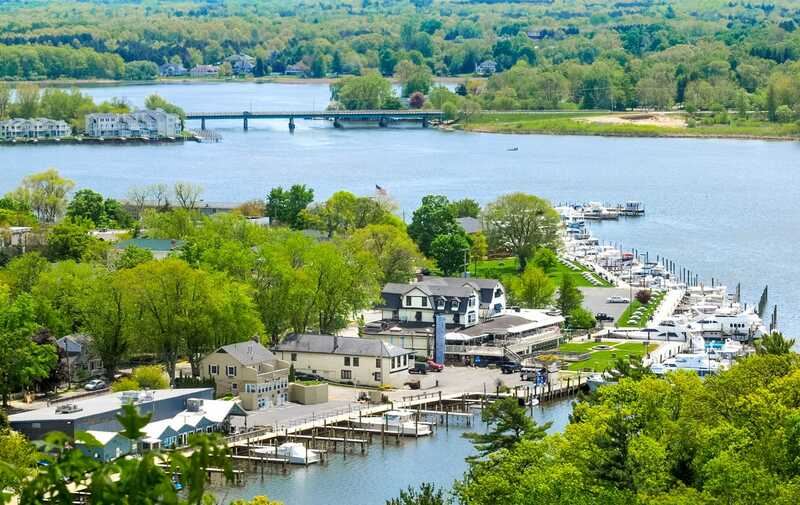 “We are thrilled that Saugatuck has earned this title from USA Today. From the charming downtown to award-winning Oval Beach, there is so much for visitors to see and do,” said David West, Vice President of Travel Michigan, part of the Michigan Economic Development Corporation. “This recognition is further proof that Michigan’s beach towns along our freshwater coastline are attracting attention and visitors on a national level.” Catey Hill, editor of Marketwatch, wrote, “Filled with sandy, dune-lined beaches and a number of small towns with quaint downtown areas, the Great Lakes lakefront isn’t nicknamed the “Riviera of the Midwest” for nothing. All this water gives retirees plenty to do, from taking leisurely hikes along the shore, to perusing locally owned shops in tiny lakefront towns, to boating (there are nearly 1 million registered boats in the state) and fishing (Michigan ranks 5th in the nation in number of registered anglers). And the state’s sporty lifestyle offerings don’t end at the water line. Michigan is also a popular spot with retirees who hunt, golf or just spend time outdoors. There are more than 750,000 licensed hunters in the state (the 3rd highest number in the nation), and everything from birds to large game. The state also boasts 850 public golf courses. Plus, Michigan has the largest state forest system in the nation and is a hot spot for snowmobiling. 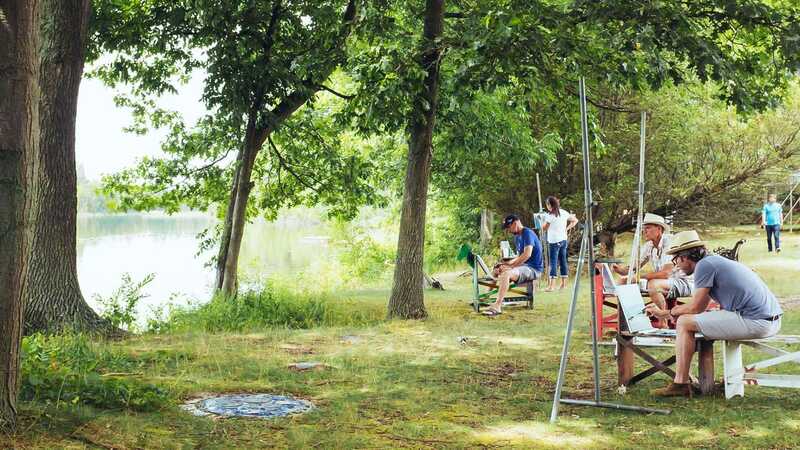 As you may know, Saugatuck became known as an artist’s colony in 1910, when a group of Chicago artists established Oxbow, a summer school for painting in a secluded area near the beach, which still exists to this day and is now affiliated with the Art Institute of Chicago. This led to an influx of well-regarded artists and even a building boom (the town boasts several buildings built in the Arts & Crafts and Colonial Revival styles). Today, this artsy community is home to the Saugatuck Center for the Arts, a recently converted pie factory that now hosts arts exhibits, live performances and classes; 36 art galleries; and the Mason Street Warehouse.